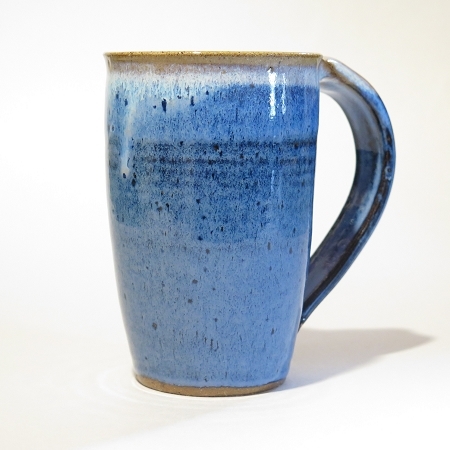 This hand thrown stoneware pottery mug is available in 9 glazes. These handmade hand thrown stoneware pottery cylinder shaped mugs are available in 2 sizes and 9 glazes. These handmade hand thrown stoneware pottery wide bottomed mugs are available in 2 sizes and 9 glazes. 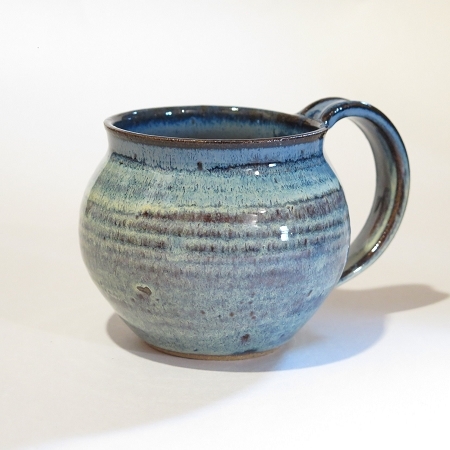 This category includes hand thrown pottery coffee cups and handmade stoneware juice cups available in 9 glazes. This category includes handmade pottery glasses and hand thrown stoneware juice glasses in a choice of 9 glazes.